An easy and effective option to run a campaign . Specially for video. The whitelist optimization it's user friendly and the main dashboard which includes the volume of won impressions it's reliable and it's updated in real time. The platform also allows you to build your own video creatives (including interactive creatives) using a basic interface. As other video DSPs, TubeMogul neither has got all the setting a trader wants. The reporting capabilities are limited. For example: it's not possible to create a basic device report within the platform anymore, if you need that kind of report it's necessary to raise a ticket with support team so they can do it for you within one week. It's a good option if you are planning to run video and it also gives you the possibility to sun some social activity. Since they were acquired by Adobe the platform fails more than we would like. However, we expect to see an improvement of the capabilities within the next months due to that integration. "Great vendor partner for VDO programmatic"
Wide range of inventory capabilities, which provide us tons of data after every video campaigns. They also have cross screen tracking even before Google released their cross screen tracking. With Tube Mogul assisted tracking, we have a deep understanding of customer journey and time lag between every transaction, which device should we focus and how to tailor our customer. Need to improve their platform for ease of use, more visualize and enhance their capability for display advertising. Maybe they are one of the best for video ad, but not really for display. If you are heading for programmatic advertising, in the era of digital when all traditional now moving to online, especially TV; Tube Mogul is a great partner with their technology and support team to let you reach your goals. - Meet our KPI even for high volume campaigns. "Programmatic Video ad serving "
Great scale and targeting capabilities. Tube mogul provides great customer services and is great partner to reach the audience you are looking for. Although Tube Mogul is heading in the right direction, their adoption to some of the industry ad tech has been adopted slowly (eg. verification pre bid solutions). Trouble shooting in the past has been a bit cumbersome but this is getting better. Tube Mogul's video capabilities are great and can deliver the scale and reach to meet your campaign needs. I would say to keep viewability and non human traffic in mind when looking at the campaign performance. The video side of the business performs stronger and I would not recommend using Tube Mogul's display capability as your only source of display traffic. Video scale and audience targeting using various of audience pools. Tube Mogul is a great business partner and is able to adapt to the multiple changes in KPi's and goals. I would consider Tube Mogul a great partner who is able to adjust to the multiple changes from our advertisers. I love the cross-screen targeting capabilities this platform offers. 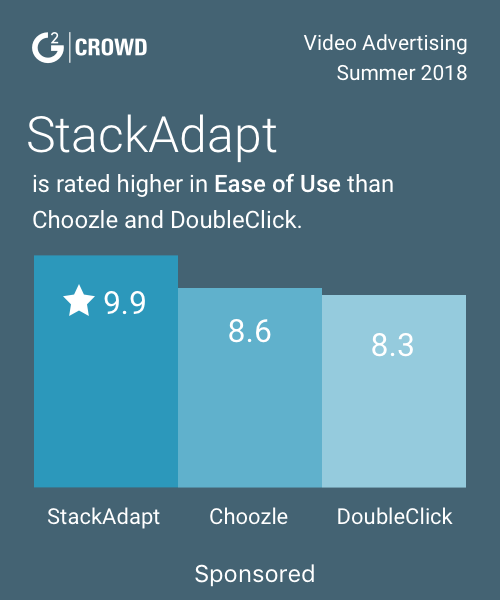 It really helps bridge the gap between devices and gives us a clearer picture of where our audience is and where our ad dollars are most effective. I like seeing that our ads are reaching exactly who we want to target through the data and metrics provided. It also helps us determine which ads are the most effective with our audience. I find their optimization platform to be a bit complicated. There are too many things I have to weed through to get to what I want to do. I always get confused on exactly what I need to select in order to get to the data I need. From there it's almost too easy to select the wrong option and mess something up. A cleaner optimization platform would be helpful, but I can live with this one. Know your customer. Make sure you have a very specific target in mind and know how you want to measure the effectiveness of you campaign. We are trying to reach customers across all devices during a specific time in their consumer journey. The client I work with is a hospital, so we need to be on all devices. We want to reach them before they need a hospital (awareness) up to the exact moment they're in need of a hospital. TubeMogul has helped us bridge the gap between screens and target these customers more pin-pointedly. 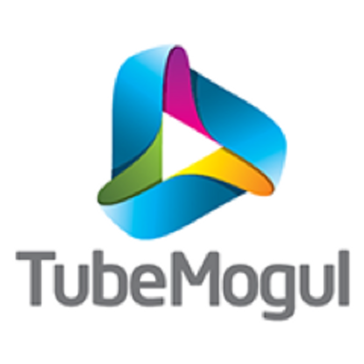 We have using TubeMogul for a year and I consider by far the best option when it comes to video campaigns. The VTRs are above other DSPs and have a great scale. Also the reporting is very complete incluiding a lot of metrics that helps to improve the campaigns easily. I don´t like very much the structure of the platform because sometimes is a little confussing if you are not dealling everyday with it. Also out of the video campaigns is not so powerful. "Simplistic UI but support could be better"
Their UI was easy to use and they supported a lot of types of video ads. Their traffic had decent CTR's and VTRs. There was an issue on my "low" bids bogging down the system because of low win rates. They wouldn't work with me to remove sites that had higher floors to prevent this. Instead they suggested that I triple my bid (not considering my margins) or not run it at all. I assumed $30k/month was enough to get some support on this. Also, they don't always notify you if they pause your campaigns because of an issue. I've had to find out the hard way after noticing a drop in volume over the weekend. It's a great product to use for any of your video needs. With the exception of the issues I had with my high volume campaigns, I would definitely recommended TubeMogul. We have used them to help fulfill high volume campaigns. We favored their full self-service feature over others because we were able to make any changes on the fly. "Strong Programmatic Video Offering "
TubeMogul offers a strong set of ad tech for standard display and video buys. The company serves as one-stop-shop for campaigns that require maximum reach with granular targeting. Because it pulls inventory off of exchanges, it requires the use of a brand safety partner (IAS, Double Verify, etc.). In past experience, viewability of our ads were extremely low, so we had to optimize on the backend to increase that. TubeMogul is a leader in the ad tech field, so I would definitely recommend hearing thier offering in-person and then, if possible, testing their product in an A/B test with a competitor. This type of vendor is especially great for DR campaigns because your rates are much lower and the level of targeting will help drive down your Cost per Action metric. The media planner tools allows users to get an estimate on the inventory we can run on. However, it's not intuitive and loading the information takes too long to generate once you click on each of the criteria. One of the best thing is that TubeMogul gives transparency into the sites the ads are being served on. The exact website so that the advertiser can determine if they want to serve on it or not. UI is slow to generate when switching from tab to tab. Not intuitive when uploading video / assets. UI does not allow trafficker to set at daily impression value. Instead we have to set it at dollar value which doesn't make sense because eCPM changes constantly. This causes over delivery or under delivery to happen with directly impacts our company revenue/margin. It's hard to achieve VCR or CTR performance without spending a large amount of time optimizing. The automatic optimizer does not work well. Don't use Tubemogul unless you are okay with spending large amount of time manuallyoptimizing. Working on integrating our data with Tubemogul for us to be able to use on multiple campaigns on Tubemogul. Testing their Nielsen integration with some of our campaigns that have this technology appended to their tags. "Most Intelligent and Detailed Partner"
The fluidity of both their managed service and self service platforms makes working with them simple and efficient. Their vast array of products makes them a great one stop shop for all things video advertising. As programmatic TV gets closer to mass appeal, their BrandPoint product, that helps to measure eGRPs, will begin to take off and be adopted more across the entire industry. Like many programmatic platforms, their targeting data is limited to what's mostly available to everyone without many custom or proprietary data sources. Don't just look at them as an online video partner. With the rise of programmatic TV, they will be making a splash in device targeting. Efficiency and performance. We get great video completion performance at even better rates. We are also finding more premium inventory for clients looking to align themselves with higher quality content through their Brand Access product. I've always been a fan of Tubemogul's UI. It's aesthetically pleasing, simple, clean, and easy to maneuver around in. The reporting is robust and I do appreciate that quartile performance is included by default: 25%, 50%, 75%, 100% completions without necessarily having to implement trackers for the quartiles. The creative preview tool is good. Ability to track Shares (twitter, FB). You can see most metrics at a glance. Fill Evenly Thru Day pacing option. Ability to easily target/untarget apps. Inventory estimates. Previously, service was an issue because our rep didn't offer up any optimization strategies besides "you should raise your bids" which wasn't very helpful. Though recently things have improved a ton! I'm not able to find viewability controls - where do I look for this? Optimization capabilities have always been super manual, which I feel is less than optimal. Most video platforms are very similar. If you are looking for a platform that is fairly easy to use and a team that gives good support, I would recommend Tubemogul. Private Inventory functionality has been built into the platform though I myself have not had a chance to use it. We are trying to reach specific audiences, run our business at the best margin possible, and hit varying KPI goals (like CTR, viewability, completions, etc) at once. I've found that I can hit most of my goals at fair rates using Tubemogul's inventory at comparable rates as other video platforms. "Video DSP for your indendepent trading desk needs"
Easy to understand setup, straightforward optimization, ability to build direct-pipelines with publishers. Has been a strong tool in our trading desk arsenal - great customer support. The UI and the way to navigate placements/campaigns/ads. Also, viewability levels were kinda low on campaigns. I heard that they do all channels of advertising - I do see them primarily as video player. Running video campaigns with Completion Rate as the main goal or CTR. Pre-roll campaigns have been the majority of campaigns that I ran on Tube. "Not my favorite, but it works!" There are some targeting capabilities that aren't available on other platforms, such as geo-fencing by zip code. The UI is not terribly user friendly. In addition, the support staff isn't apt to help, but that's also likely because we don't spend much with Tubemogul so it makes sense! It works, but I think there might be better things out there! We are trying to get the best KPIs for our clients. We haven't realized much outside of being able to use the unique features (and therefore expand our product offering). "TubeMogul has performed at a good level, has a very responsive team & provides deep insights." I personally like best their insights/dashboard that they provide their partners. We are able to see where are ads are showing up, specifically to the site and player size. I also enjoy the communication factor their team provides us when we ask for feedback/questions. I dislike how little I know about the new products they come out with. I feel as though I would love to expand beyond just using pre-roll video with them, but are uncertain of all of their capabilities. Generating awareness for a healthcare client is currently what I work on and have seen great interaction with their videos. I have realized the types of creative to use when sending messages to our audience thanks to A/B testing through TubeMogul. "Great platform for both Display and Video advertising." The platform is very easy to navigate and isn't difficult for new users. Delivery in some locations is very minimal. Try to use all features available. Allows us to target potential customers through programmatic display and video. They specialize in video but have been the worst performing on many campaigns. Slow set up, lots of issue with ad ops and billing. I really enjoy TubeMogul's countless features. Compared to other DSPs, I can say that there are certainly more features included in TubeMogul. especially unique functions like being able to choose survey or social ads. I handle a lot of campaigns several brand safety requests. From my experience with other DSPs I've been able to utilize many more filters. Their UI is nice and clean and very easy to go through and easy to find what you're looking for. It is easy to create new campaigns. Their reporting could use some help, make it a bit more transparent. "Built, managed, and optimize advertising pre-roll videos for clients"
It is easy to use and the information in presented in a appealing way. It is easy to upload content. The reports are easy to manipulate and customize. Email reports-it would be easier and quicker if you could download the reports directly from the site. Full site lists-this would also be beneficial if you could download it. We're solving completion rates and clicks to websites to increase awareness. We reached our goals of both impressions and completion rates. "TubeMogul is a reputable player in the video DSP landscape"
In terms of video completion rates we see above benchmarks from them. So far I haven't run into anything that I don't like. I am still navigating their platform. I like the real-time bidding. It helps brands, agencies, trading desks and publishers advertise to global audiences using online video across multiple devices. Nothing comes to mind. It's a great platform. I am little bummed to see the recent insider selling which has crushed the shares. I wonder when the secondary offering will be. Advertise to across multiple devices. "Super user- friendly tool "
I love how user-friendly it is, it was really easy for me to get then hang of it and utilize in my everyday work life. Personally thought the graphics could've been better, definitely didn't work well with my current Operating System. Margin Issues, KPI issues were solved. The different types of units available. Linear TV with the available day part mix and networks. N/A - so far, everything I have seen from TubeMogul looks successful and intriguing. Awareness - it is important and units such as inread etc. help solve the problem. "Utilize for digital media buys"
"Great team to work with "
I really enjoy the Video units. The inread units is innovative. I have enjoyed all units, and I have no negative comments. * We monitor all TubeMogul reviews to prevent fraudulent reviews and keep review quality high. We do not post reviews by company employees or direct competitors. Validated reviews require the user to submit a screenshot of the product containing their user ID, in order to verify a user is an actual user of the product.